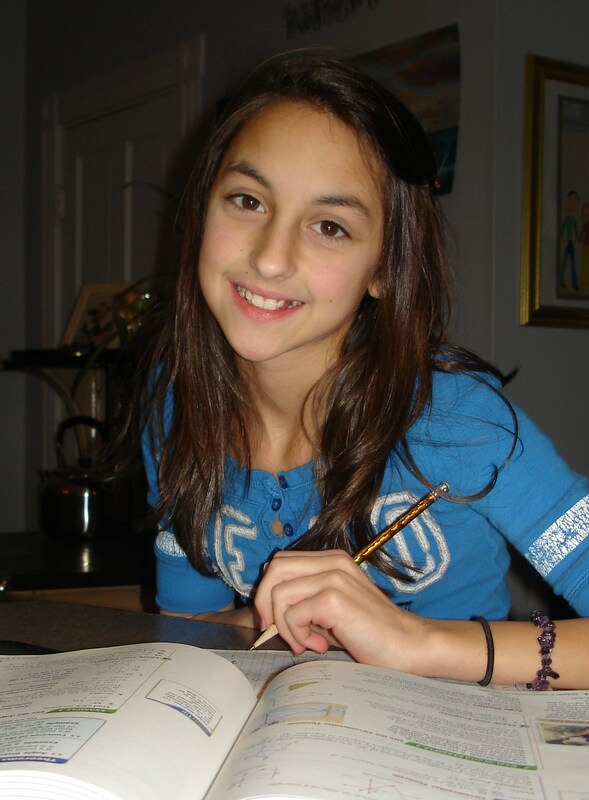 NORWAY — A young published author is writing her third book — this time with the help of her Oxford Hills Middle School classmates. Marrae Kimball of Norway, a seventh-grade student at the Oxford Hills Middle School, is writing a book about the transition from elementary to middle school that deals with the logistics of entering middle school and the academic and social concerns that students face, including making new friends and the fear of losing old friends. Kimball’s classmates are helping by answering questions such as what was their biggest fear entering middle school, did anyone help and how, what do they like best about middle school and do they wish they were back in elementary school. “Right now, they are in the process of answering questions that will be in the book to help others,” Eshleman said. She said her daughter has adjusted to middle school and really enjoys it but she had many sleepless nights, tummy aches and even migraines the first few weeks of school because she wasn’t quite sure what to expect. Kimball said she was very excited to go to middle school, but the new school seemed “really big” after attending the same elementary school for seven years. “I thought I might get lost trying to find a classroom,” she said. The school has 538 students, compared to 434 at the elementary school. “In elementary school we did switch classrooms but they were all right beside each other and all the same kids switched with me at the same time,” Kimball said. She said she also wondered what it would be like to have a locker with a combination when she went to middle school. “What if I couldn’t remember the combination or it didn’t work or open? If my locker didn’t open, I might be late for class, which would not be good,” she said. Her new book will be published by Find Your Way Publishing Inc. and should be available in June. It will be available through Find Your Way Publishing, at Books N Things on Main Street in Norway, and online at Amazon and Barnes & Noble.